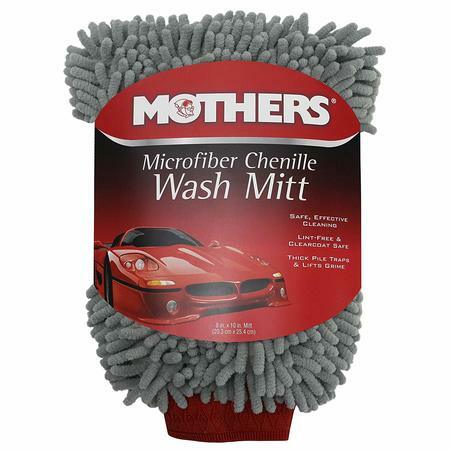 Mothers Microfibre Chenille Wash Mitt uses high density, plump caterpillar strands to remove dirt and debris from your car’s paintwork. This premium microfibre wash mitt provides a scratch and swirl-free wash. The super thick caterpillar strands easily loosen, trap and remove dirt and debris. The mitt is made from extra absorbent microfibre to ensure it holds more suds for a safe, well-lubricated wash.